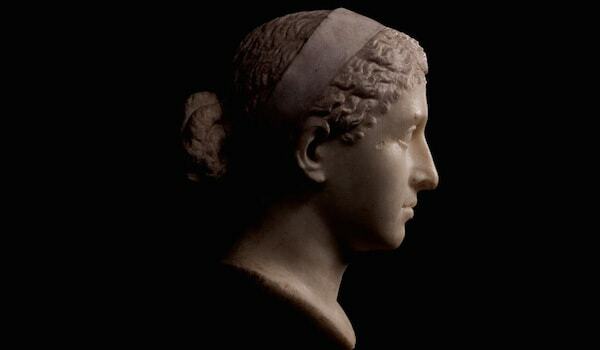 Cleopatra is easily the most famous woman of the ancient world. 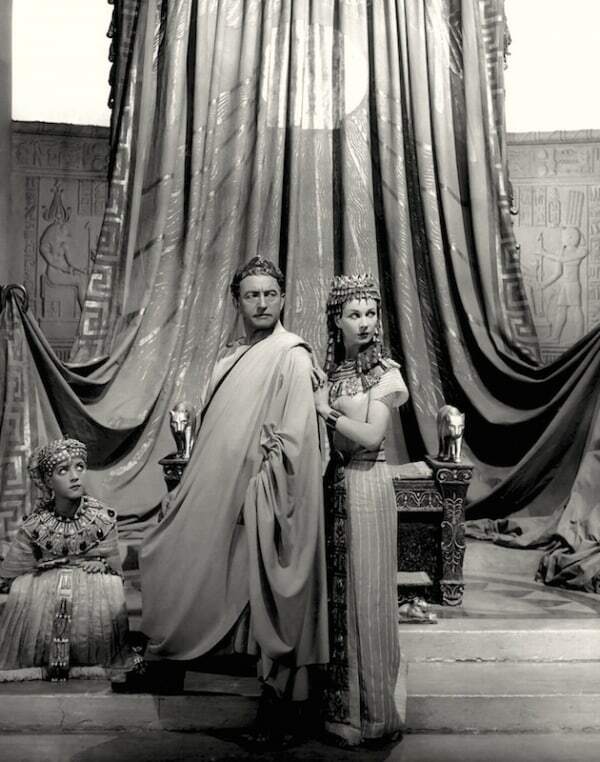 Pharaoh of Egypt, naval commander, linguist — and, of course, maybe incredibly beautiful (the jury is out). 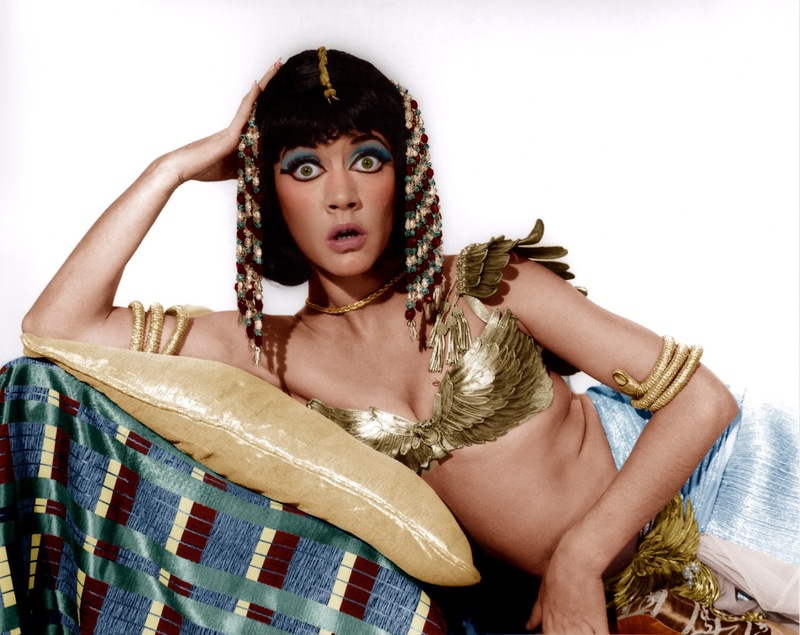 She’s been put on screen multiple times — let’s take a look, and then vote: which actress/performance has best captured Cleopatra for either, either as a real historical person or a fictionalized character? Played by Elizabeth Taylor, costumed by Vittorio Nino Novarese and Renié. Lyndsey Marshal in Rome, no contest. 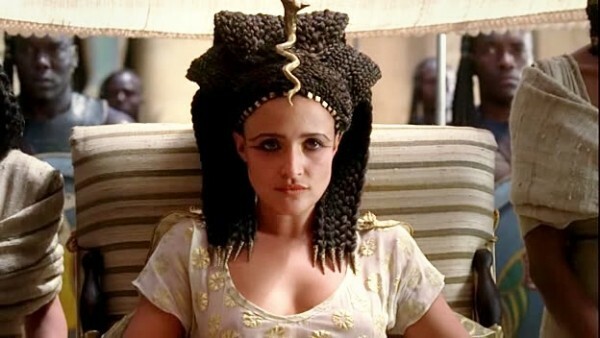 To me she’s the most convincing Ptolemaic queen. Not just an Ancient Egyptian cliché. I second that! Amanda Barrie was way more fun than Liz Taylor and sexier too. just what I was gonna say ! This is a tough one to vote on–each one is definitely a product of her own generation’s idea of fashion, glamour and allure. 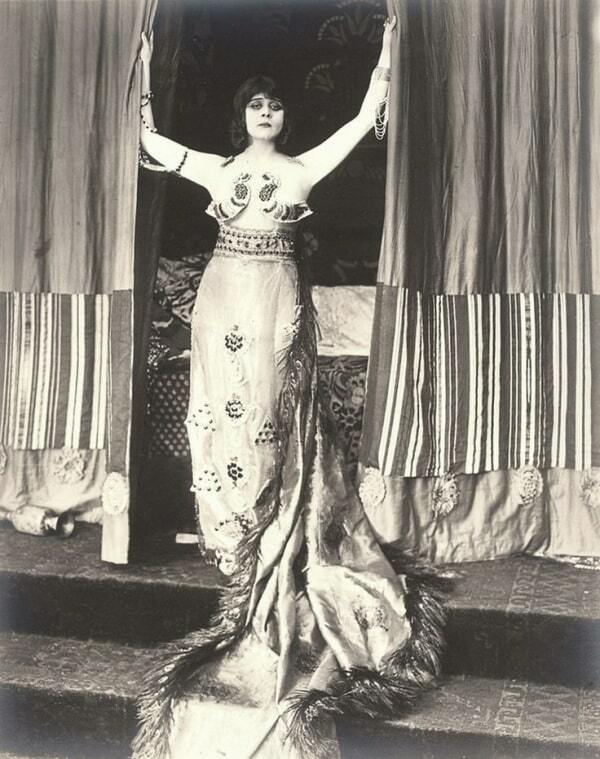 The real Cleopatra was probably not very physically attractive, but an authentically ugly or even plain one wouldn’t sell tickets! 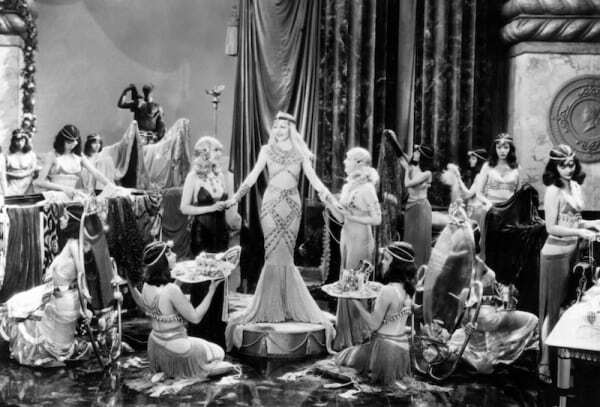 I believe Travis Banton designed the costumes for the ’34 version. Yeah he was head designer at Paramount so he designed Colbert’s costumes. Vicky Williams probably designed all the other characters and the extras. Agree. 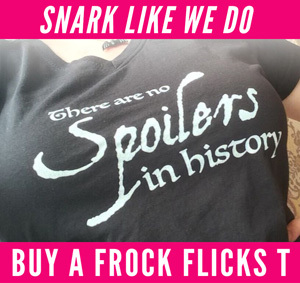 Like Helen of Troy, we put ourselves in them. 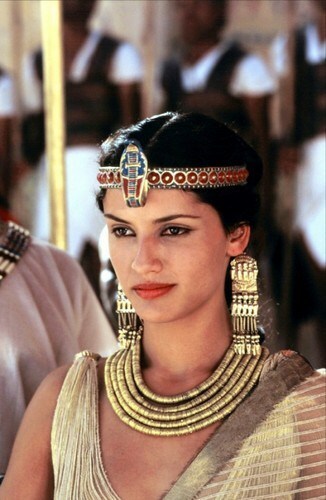 Except in Cleo’s case, everyone seems to forget she was Greek. Two spring out: Taylor because… well Taylor. 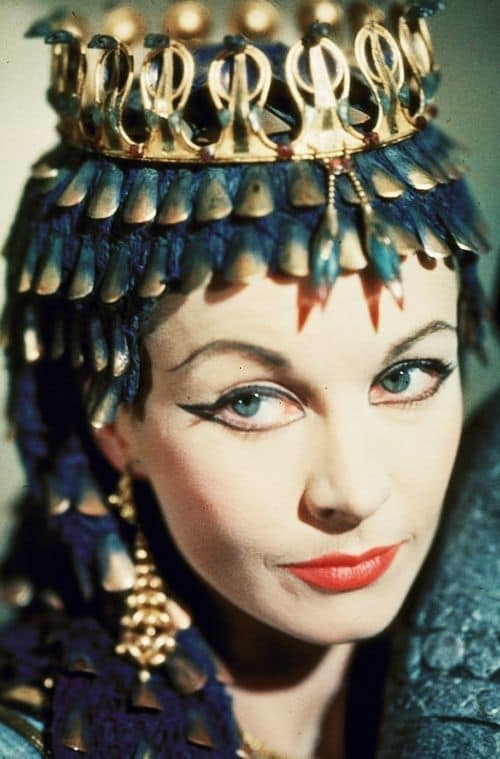 And Vivien Leigh because I can’t shake the “Scarlett in Egypt” vibe. Taylor is iconic, but nobody beats Colbert. 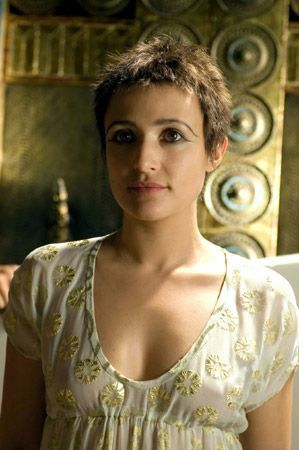 The Cleo in Rome is the series weakest point, absolutely hate her. Voting for Lyndsey Marshal. Cleo herself was determined but also young, capricious and authoritarian (22 when Caesarion was born). Marshal conveyed all of those qualities. Just wish once someone would show her with red hair (unclear if she had it, but there is archeological evidence) and a big nose (as in her identified portrait busts). Although i’m waiting for a depiction where they don’t make Cleopatra pretty which stems from patriarch reasons, Marshal did got her character right overall. Charismatic, intelligent, cunning. Agreed, although no one could be cuter than Colbert in her nifty little Deco-Egypt outfits. Honestly, I loved Gina Torres as Cleopatra. But that was a guest role on a TV show. Not a movie. 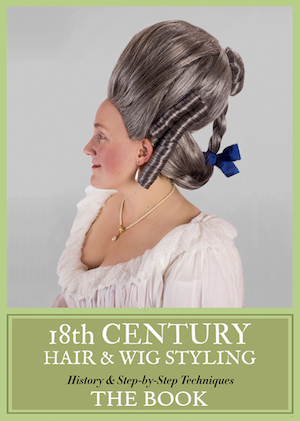 And certainly not historically accurate at all. Elizabeth Taylor is the only one here I’ve actually seen. So I’d have to go with her. 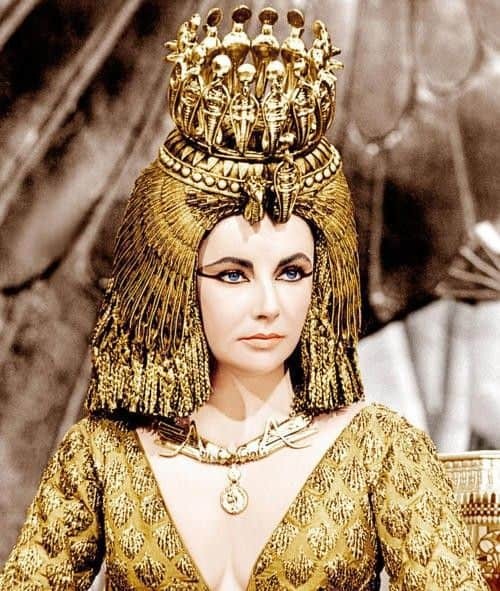 Liz Taylor FTW – not historically accurate by a long shot but wins on sheer fabulosity of the costumes. 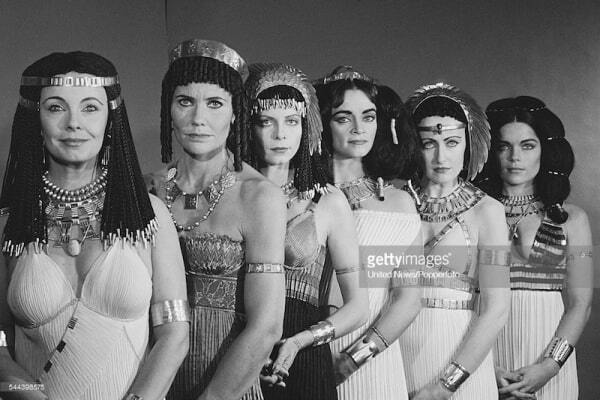 On a side note, I’ve always been a little disappointed that someone along the lines of either Melina Mercouri or Irene Pappas has never played Cleopatra on screen as I would really love to have seen what they or other actress from the eastern Mediterranean would have brought to Cleo on the screen. Sophia Loren. 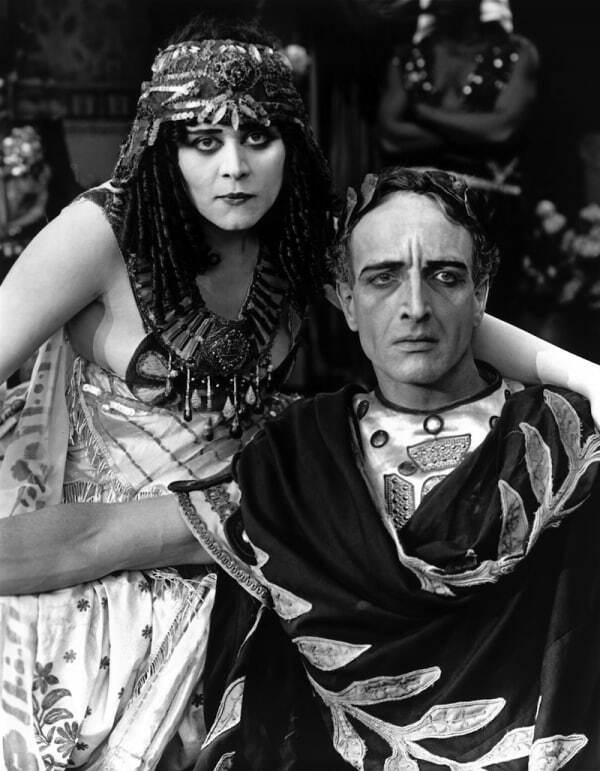 She played Cleopatra and looked the most of any actress to the A”supposed” bust sculpture of the real Cleoptra. This reminds me, do you think we could get a wcw for Lyndsey Marshal herself? 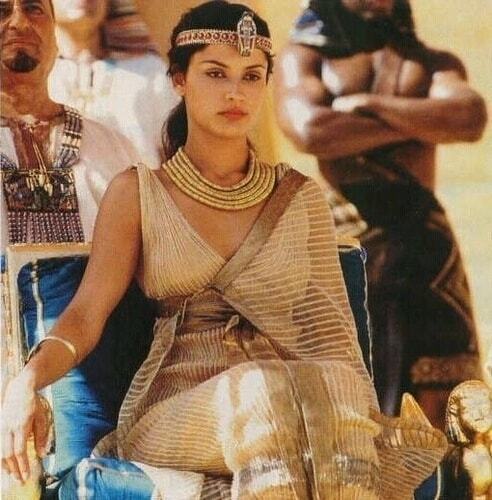 Sorry ladies but Liz will always be Queen Cleopatra in my heart. Lyndsey Marshal for characterization (1st choice) and Liz Taylor for costume. It has to be Lyndsey Marshal for me because her performance inspired an unforgettable moment in post op when drug fuddled me walked my foot up the leg of the dishy anesthetist. That moment had been in the preview on high rotation on TV the previous week! He was very nice about it. I love this memory! I’ll bet he does too, LOL.